We’ve already read about how Al-Qaeda operatives in Syria accidentally beheaded one of their own guys, leading to some friction and a quick apology. But there’s a big difference between saying sorry to coworkers and apologizing to your enemies. One is awkward, and the other is downright humiliating. But despite the embarrassment, Al-Qaeda once showed remorse for an attack that didn’t go according to plan. In 2013, the Saudi branch attacked the Defense Ministry in Yemen. Angry about recent US drone strikes, they felt justified in taking their frustrations out on the Yemeni government. However, their commander, Qassim al-Raimi, gave strict orders to avoid the nearby hospital. Evidently, one of his men didn’t get the memo (or just didn’t care) and murdered 52 patients and staff members. Blowing up hospitals is always a bad PR move, and al-Raimi decided to smooth things over. In a video released by Al-Qaeda’s media outlet, Al-Malahim, al-Raimi said the attack was against Al-Qaeda’s morals. “We confess to this mistake and fault,” he admitted before giving his condolences. He even offered reparations to relatives of the victims. What a nice guy! Surprisingly, al-Raimi’s video is just one of a rapidly growing series of bizarre apologies. In 2009, the group said they were sorry for murdering Muslims, and in 2007, bin Laden himself apologized for killing Muslims in Iraq. Of course, these videos probably have more to do with appearances than guilt. It’s a move to gloss over the fact that Al-Qaeda kills more Muslims than non-Muslims. 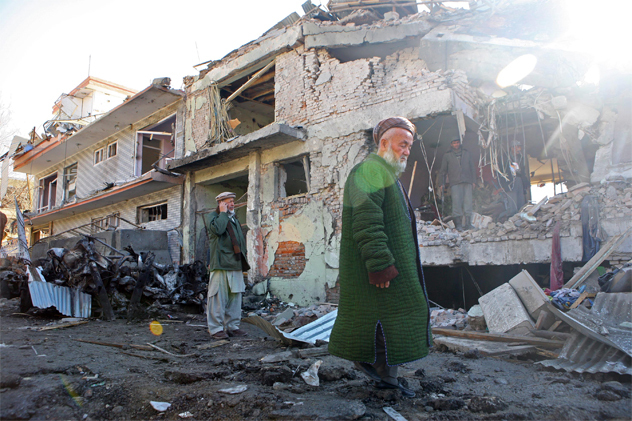 Between 2004 and 2008, Muslims made up 85 percent of the group’s casualties. For an organization that’s supposedly protecting the faithful, that’s a pretty bad track record. Most people hate office work. Poring over forms, staring at spreadsheets for hours on end . . . it’s miserable work. But your mind-numbing 9-to-5 is nothing compared to the daily grind of an Al-Qaeda agent. Their bosses are basically extremist versions of Bill Lumbergh who require employees to fill out stacks and stacks of expense reports. Al-Qaeda’s obsession with paperwork stems back to 1976, when bin Laden studied economics in college. Later, in the ‘90s, bin Laden ran Sudan’s most powerful conglomerate and made it company policy for workers to keep track of every single purchase, no matter how small. Old habits die hard, and when bin Laden formed “the Base,” he decided to run the organization like a corporation. It doesn’t matter if they buy a cache of weapons or a bottle of mustard, Al-Qaeda operatives have to get receipts for everything. When UN Peacekeepers searched an abandoned base in Timbuktu, they found over 100 receipts for soap, macaroni, glue, and even a broom. And this obsessive record keeping isn’t just practiced in Mali—cells in Somalia, Afghanistan, and Iraq religiously fill out invoices, detailing every cent they spend. In addition to keeping track of who buys what, Al-Qaeda has files brimming with budgets, job application forms, salary info, and even memos from their HR department. Yes, you read that right—Al-Qaeda has an HR department. 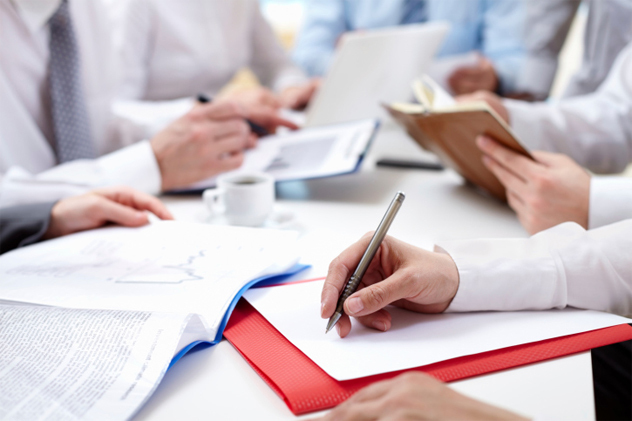 While this corporate strategy might sound ridiculous, it serves two very basic functions. First, it keeps the organization running smoothly. After all, terrorism is ultimately a business. Second, it helps the brass keep track of the foot soldiers. Most Al-Qaeda branches operate with little supervision, and it helps supervisors keep their men in check if members have to submit invoices in triplicate. Things can get pretty rough if you don’t follow protocol. Or at the very least, you’ll get a good nagging. Mali-based jihadist Moktar Belmoktar was not a good employee. He never showed up for meetings, and he often neglected important phone calls. Even worse, he skipped over paperwork. 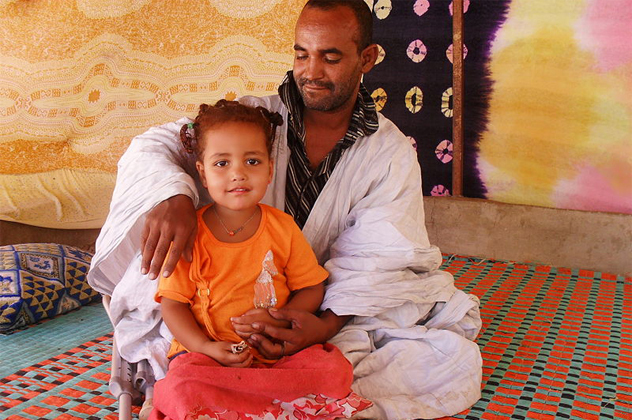 Fed up with his negligence, the North African leaders sent Belmoktar a 12-page letter chiding him for his poor work ethic, taking him to task for a number of infractions, such as accepting a $900,000 ransom instead of the originally planned $3 million. 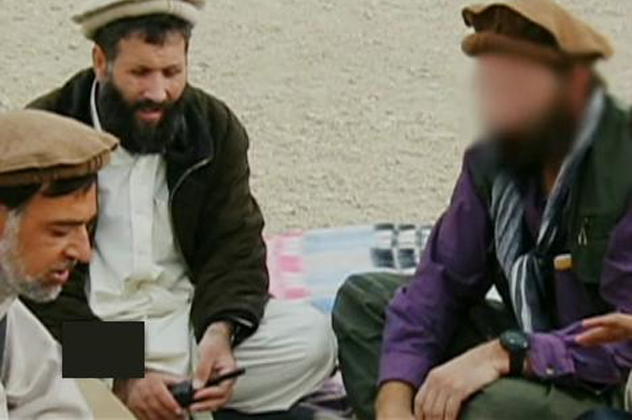 Eventually, Belmoktar decided Al-Qaeda was too constricting and created his very own terrorist group. Even terrorists want to be their own boss. Describe Al-Qaeda in one word. Did you say “radical,” “fundamentalist,” or “evil”? Chances are good you didn’t pick “fun.” But despite its moderately strict interpretation of Sharia law, Al-Qaeda certainly knows how to throw a party. In 2013, two Al-Qaeda branches (one Syrian, one Iraqi) took a break from battling the Syrian government to host a family fair. The extravaganza featured a number of fun events, including tug-of-war between Iraqi and Syrian terrorists. The jihadists organized an ice cream eating competition for the boys and—proving they believe in equal rights—a Quran recitation contest for the girls. In addition to the games, there was plenty of food, and terrorists passed out bread to hungry kids. As bizarre as it seems, the strategy was pretty sound. Feed hungry children, give them ice cream and games, and you become heroes. Inspired by the festival’s success, the Iraqi group held a second event later that year. Only this time, members passed out Spiderman dolls and, believe it or not, Teletubbies. Who would’ve thought Tinky Winky, Dipsy, Laa-Laa, and Po were actually undercover Al-Qaeda agents? Chasing your dreams can be pretty difficult. How do you get started? Where do you begin? Plenty of young terrorists feel the same way. All they want is to launch a holy war against the West, but they don’t know the first thing about building a pipe bomb. Thankfully, there’s Inspire, an online magazine filled with tips for detonating apartments and causing panic in the streets. Created by Al-Qaeda militants Anwar al-Awlaki and Samir Khan (who both had a date with a drone), Inspire offers articles like “What to Expect in Jihad” and “Make a Bomb in the Kitchen of Your Mom,” penned by the aptly named “AQ Chef.” In the original issue, even big shots like bin Laden and Ayman al-Zawahiri contributed columns. While some of the articles offer practical advice, others are a bit out there. One instructed readers on how to attach knives to the front of a pickup truck, creating “the ultimate mowing machine.” Another issue suggested torching parked cars or smearing oil on sharp turns, leading to massive car wrecks. Sure, it sounds ridiculous, especially since MI6 hacked Inspire and replaced its articles with cupcake recipes. 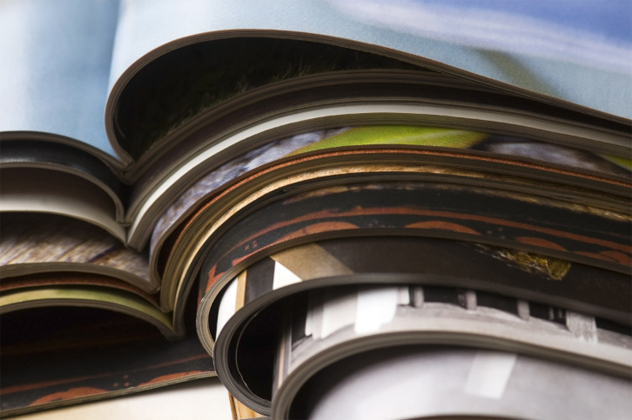 However, these magazines really do pose a serious threat. Al-Khansaa is giving moms advice on how to indoctrinate their kids. Even worse, Boston bomber Dzhokhar Tsarnaev told authorities that he and his brother learned to make explosives by reading Inspire. It’s all fun and games until somebody loses a building. Like any organization, Al-Qaeda needs cash. After all, waging war against the West is an expensive endeavor. Since their former boss never used his millions to finance the terror group, Al-Qaeda has had to rely on the kindness of strangers, accepting donations from radical mosques and friendly leaders. They’ve even conned charities into forking over dough. However, Al-Qaeda agents aren’t afraid of a little hard work, and if a nice, illegal business venture pops up, they’ll jump at the chance to make a few bucks. Lately, entrepreneurial terrorists have been making millions in Africa. The continent is teeming with financial possibilities, most of which walk around on four legs. People in Asia, especially the Chinese, are crazy about ivory, and buyers will hand over good money for trinkets carved out of elephant tusks. The demand is huge, and Al-Qaeda is only too happy to supply. Al-Shabab, the terror group responsible for the attack on the Nairobi shopping mall, is Al-Qaeda’s Somali branch and heavily involved in the poaching business. 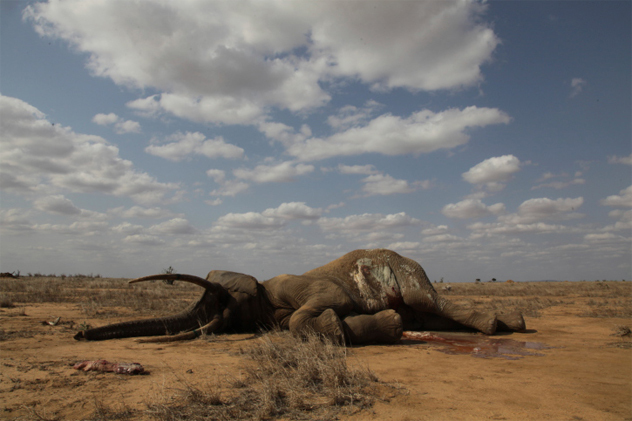 In fact, they earn about $600,000 a month slaughtering elephants. That’s 40 percent of their budget. If the world really wants to halt Al-Qaeda’s plans, perhaps governments should team up with conservation groups and keep the world safe for people and pachyderms alike. The Casio F-91W is cheap, simple, and smacks of the ‘90s. It’s also extremely popular. Nearly 25 years after the first batch hit stores, this Japanese wristwatch is still a best seller across the globe. Renowned for its dependability, the F-91W is accurate to within 30 seconds per month, and that’s pretty darn impressive. It’s also probably why they’re all the rage with fashionable Al-Qaeda agents. Evidently, Casios make excellent detonators. When a young jihadist enrolls in terrorist training school, he’s given an F-91W and plenty of hands-on training. With just a few additional supplies, like batteries and a circuit board, the would-be bomber can build a deadly weapon in a matter of minutes. Thanks to the watch, he even has 23 hours, 59 minutes, and 59 seconds to make his getaway. According to The Guardian, over 30 Gitmo prisoners were captured wearing the F-91W, while 20 wore its silvery cousin, the A-159W. But is it just a coincidence? Millions of people wear Casio watches, and most of them aren’t considering hijacking planes anytime soon. Perhaps the US military is blowing the Casio connection out of proportion. Or maybe not. 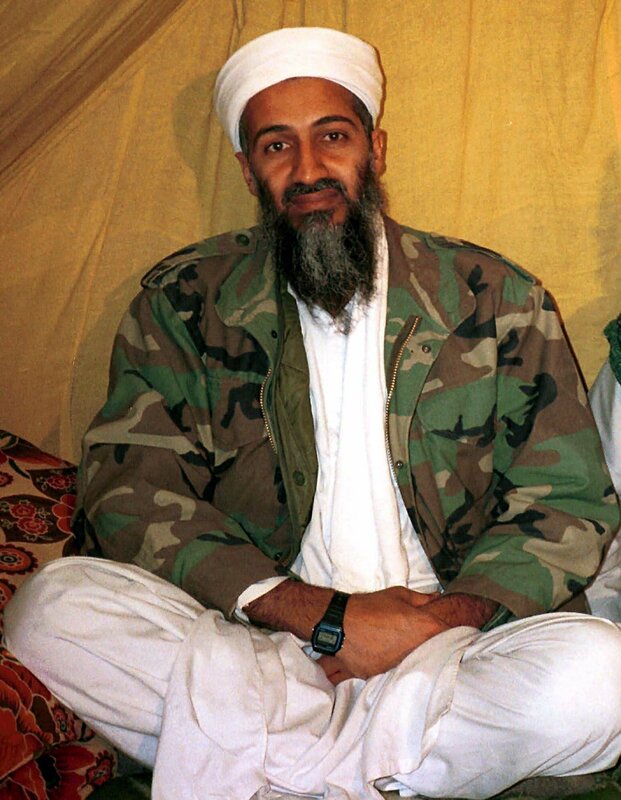 Check out a photo of bin Laden himself and see what he’s sporting on his wrist . . . an F-91W. What do Alex Jones, Charlie Sheen, and former Iranian president Mahmoud Ahmadinejad have in common? They’re all nuts, and they all think 9/11 was an inside job. The only difference is Ahmadinejad preached his wacky beliefs at the United Nations. In 2010, he flat out told the UN General Assembly that the US government was behind the attacks. In 2011, he followed up on his previous remarks, claiming that 9/11 was an excuse for America to invade the Middle East. While most everyone tuned out his long-winded ramblings, Ahmadinejad struck a nerve with the world’s most notorious terrorist organization. Shortly after the president’s 2011 address, Inspire magazine replied with a sharp retort. Al-Qaeda was fed up with Iran’s leader blaming the Great Satan for 9/11. After all, they’d knocked down the Towers, so they should get the credit. 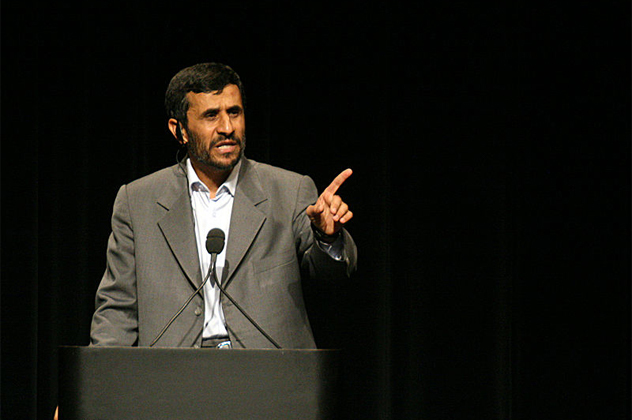 In an angry editorial, a jihadi journalist wrote that Ahmadinejad needed to knock off the conspiracy nonsense. Not only did the piece call his idea ridiculous, it accused him of being a sore loser. According to Inspire, Al-Qaeda won the support of the world’s Muslims, and Ahmadinejad was throwing a fit. Jealous he’d lost the popularity contest, he wanted to discredit Al-Qaeda with ludicrous conspiracy theories. Ahmadinejad never replied to the claim, which is too bad. That would’ve made an awesome flame war. If Al-Qaeda ever rolls into your town, you should probably hide your iPod. As big believers in Sharia law, the terror group is notoriously strict when it comes to music. After conquering Mali, the country’s blues musicians had to run for their lives or have their tongues cut out. The jihadists also stole radios and snatched cell phones, replacing musical ringtones with Quranic verses. But even though music is considered evil, singing is perfectly fine, especially if it benefits Al-Qaeda. Enter Omar Hammami, also known as Abu Mansoor al-Amriki. Born in Alabama, Hammami grew tired of the stars and stripes and flew to Somalia, where he joined with Al-Shabab, Al-Qaeda’s Somali cell. With his American background, Hammami was the perfect spokesman to recruit Westerners, and what better way to get angry, young Yankees to join Al-Qaeda than rap music? Uploading his tunes to the Internet, Hammami rapped about gangsta topics like the US invasion of Afghanistan and killing Jews, all without music. In “Send Me a Cruise” (as in “a cruise missile”), Hammami sang about the glory of martyrdom, and in “Make Jihad With Me,” he tried to recruit Americans to destroy Israel. In the classic “Blow by Blow,” he makes it clear that Afghan fighters will never give up, rapping, “It all started out in Afghanistan / When we wiped the oppressors off the land / The Union crumbled, rumbled and tumbled / Humbled, left them mumbled / Made a power withdraw and cower.” Evidently, songwriting isn’t Hammami’s strong suit, and his career came to an end when his own guys sent him on a one-way trip to Paradise. But thankfully for music fans, Al-Qaeda released more sick beats in 2013 thanks to Deso Dogg, a German convert who raps about suicide missions in Syria. In Body of Lies, Russell Crowe plays a CIA officer hunting down terrorists, but in early 2001, the roles were reversed . . . in real life. While filming A Beautiful Mind, Crowe was visited by a group of FBI agents who delivered some disturbing news. Evidently, some terror group named “Al-Qaeda” wanted to kidnap the famous actor. Their plot was to shake up the world by capturing famous American actors (somebody wasn’t doing their homework; Crowe was born in New Zealand and raised in Australia). However, Crowe didn’t take the threat very seriously. After all, most people hadn’t really heard of Al-Qaeda at the time. But the Bureau took no chances. As Crowe played the part of John Nash, federal agents were on the set at all times. In fact, they followed him around for four years, escorting him to the Oscars and the Golden Globes. They even kept him safe while he shot Master and Commander. Fortunately for movie lovers everywhere, the plot never materialized, and Crowe went on to star in, well, nothing too exciting. 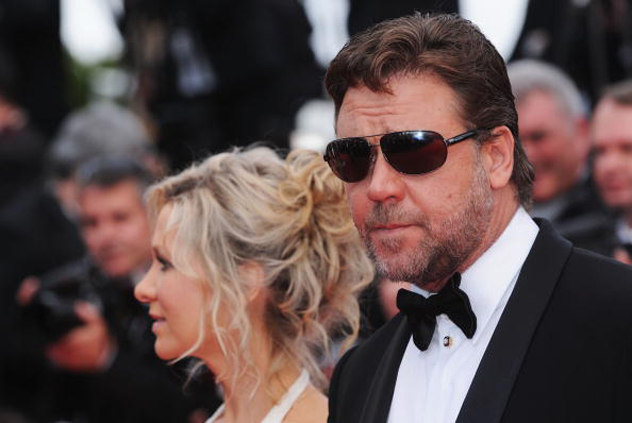 Of course, if terrorists really had tried to capture Russell Crowe, chances are pretty good their plot would’ve failed. After all, if there’s one thing Crowe loves, it’s fighting. Video games are great for relieving stress. After a grueling day at work, who hasn’t felt better after an hour of shooting up aliens? Well, terrorists blow off steam exactly the same way. In 2013, French planes were raining hellfire on Al-Qaeda soldiers in Mali. 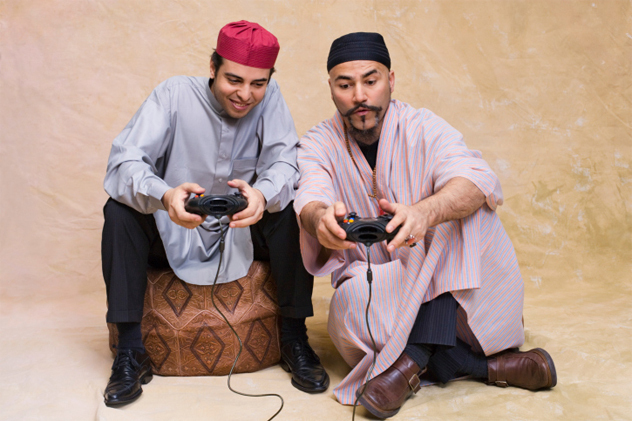 Frustrated with their inability to fight back, Al-Qaeda did the next best thing—they made their own video game. In this terrorist version of Space Invader, you can pilot a black-and-gold Al-Qaeda jet. As you dodge from side to side, your craft blasts away at oncoming French planes. The Al-Qaeda jet can take up to 10 shots before crashing, but don’t think of it as losing. Instead of an obnoxious “Game Over” message, a much eerier “Congratulations, you have been martyred” pops up. If you’re interested (and don’t mind showing up on a government watch list), you can play the game here. Of course, being Al-Qaeda, they also had to find a way to turn video games into weapons. According to a 2011 Wikileaks document, the group was seriously considering turning Sega games into bombs. According to Ahmed Khalfan Ghailani, a deputy to Abu Faraj al-Libi (the guy who replaced Khalid Shaikh Mohammed), Al-Qaeda was experimenting with explosive devices that would detonate via cellphones. These devices were hidden inside Sega cartridges, turning Earthworm Jim and Sonic the Hedgehog into bombs. Nolan hopes the NSA reads this list, or they’re seriously going to wonder about his search history. If you want to drop him a line, you can email him here.